Dhaka, 25 April, Abnews: Summer time means scorching heat, high humidity and harsh sun rays that can make your skin discoloured, dry and dull. From opting for anti-fungal products to using facial mist can be some ways to retain the moisture of your skin. Go easy: Since we produce more oil during the summer months, it’s tempting to use harsher scrubs and face washes. These can strip the skin off its essential oils - so go for a mild foaming cleanser instead. If you perspire a lot, it’s more important to use a gentle cleanser as you will be washing your face multiple times a day. Sunscreen ready: UV rays are one of the main causes of hyper pigmentation and skin discoloration. But this can be prevented by applying sunscreen an hour before you step out into the sun. Oral sunscreen are also easily available that will not only keep your skin protected but also your hair. Opt for anti-fungal products: Summers attract a lot of germs and fungal infections. It’s best to apply antifungal body washes, lotions and powders around this time to keep the germs and infections at bay. Exfoliate: Gentle exfoliating at least twice or thrice a week will help remove dead skin cells and it will also improve the blood circulation to the face. It can also allow your skin to absorb the moisturizing products better. 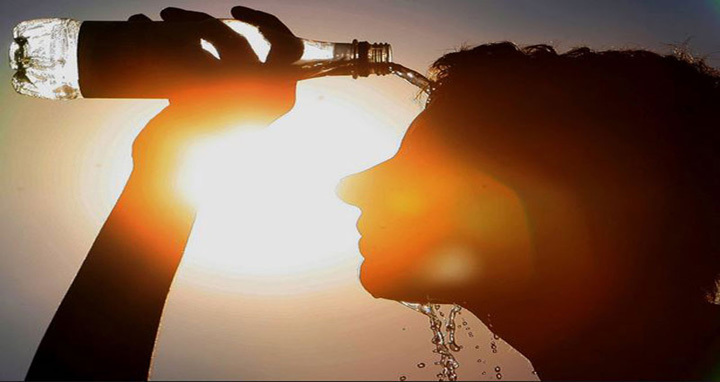 Hydrate: The heat can make you sweat and lose moisture - so don’t skip this step. You can replace the heavy creams you used during winter with lighter, water-based moisturizing lotions. Apply it as soon as you take a bath to lock in the water molecules and keep your skin feeling hydrated and fresh. Facial mists: Carry a facial mist in your bag and spray it whenever you feel you need to soothe and refresh your skin. It restores the skin’s moisture and prevents it from over-drying.